Join us in America&apos;s greatest springtime celebration! The National Cherry Blossom Festival® returns with nearly one glorious month to celebrate the gift of the Tidal Basin Cherry Trees to the United States from Japan in 1912. 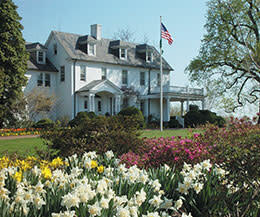 Just minutes from DC, Fairfax County is a great place to stay for the festival. 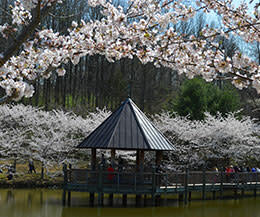 Stop in at the Fairfax County Visitor Center in Tysons Corner Center for official National Cherry Blossom Festival information about all Festival Events. The Center will host its own official event on Saturday, March 30th from 1 – 3 PM with craft demonstrations and free souvenirs. Visitor counselors will have all of the latest information about the numerous activities occurring in Fairfax County. 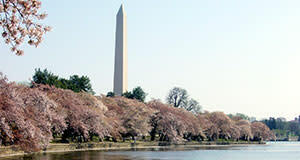 Find the best hotel rates in the DC area for the Cherry Blossom Festival, these hotels have great parking and are within minutes of this incredible annual event. If you want to ride the Metro into the city for the big event, check out our list of hotels with Metro access. Take a look at last year&apos;s celebration! 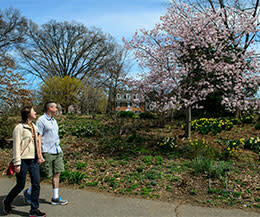 During the National Cherry Blossom Festival® you are invited to plan a self-guided tour to some of Fairfax County&apos;s splendid gardens.